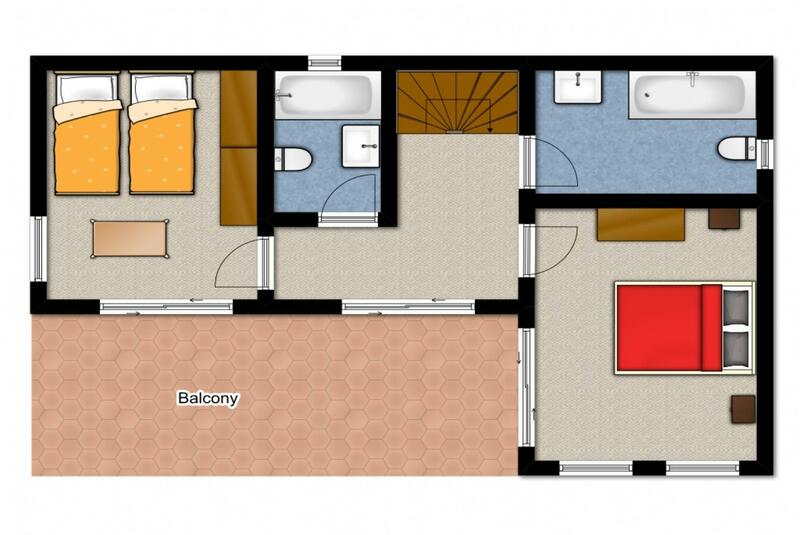 Open plan kitchen, dining area and lounge with traditional fireplace, twin bedroom and family bathroom.Master double bedroom with en suite, twin bedroom with separate bathroom, and large dining balcony overlooking the pool. 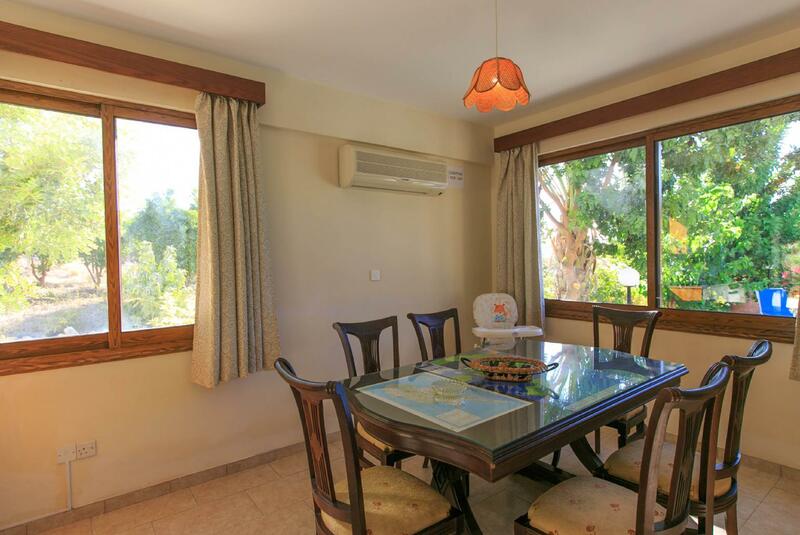 Covered dining area, sun terrace, private pool. If an additional bed is required there is 1 folding bed. 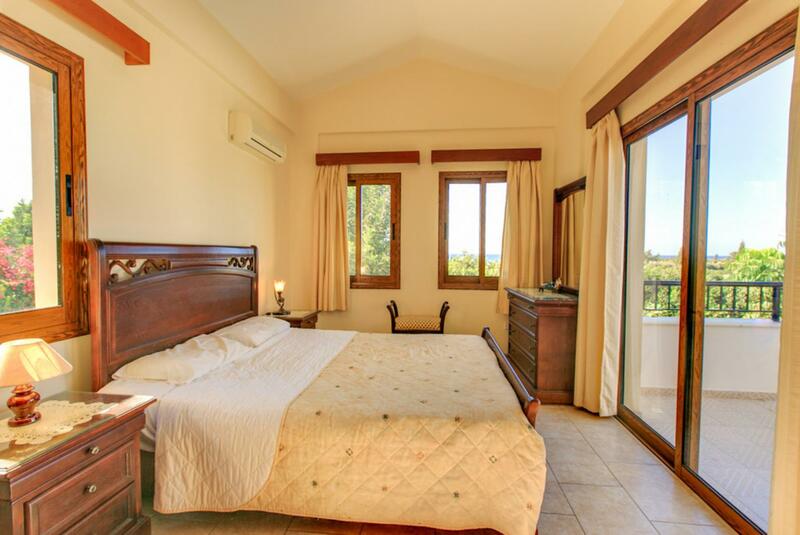 Villa Irini can sleep up to 7 people. 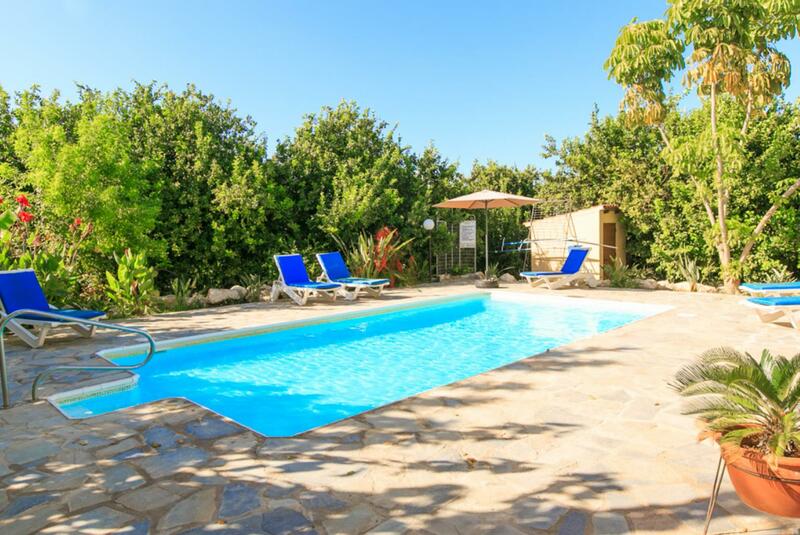 The private pool enjoys a beautiful sunny vista and has plenty of sunbeds and sun umbrellas, surrounded by fruit trees and tropical plants. Would be interested in using Agni again. Very pleased with all aspects of booking and the professional and caring help throughout. 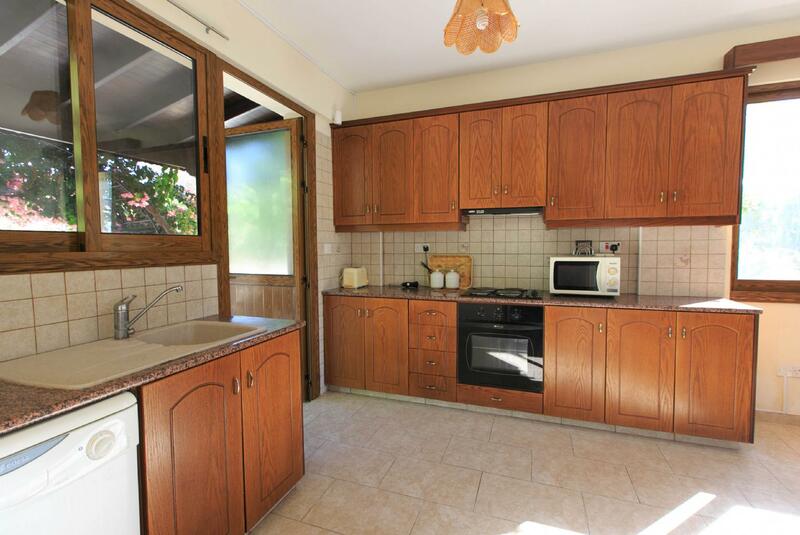 Just advise that abit more information on the appliances and working of the villa (e.g., how to change the timer on outdoor lights that were on for way too long at night) left at the villa would help. There is never such a thing as too much info. Thank you for an awesome vacation nonetheless. 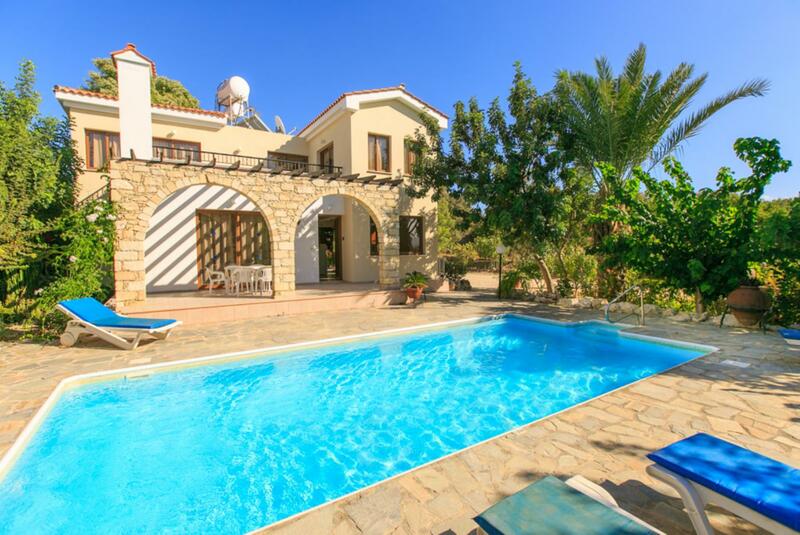 Beautiful villa in an isolated location. Be aware that unless you have a car it is a 15 minute walk to get anywhere! Perfect place for relaxing. 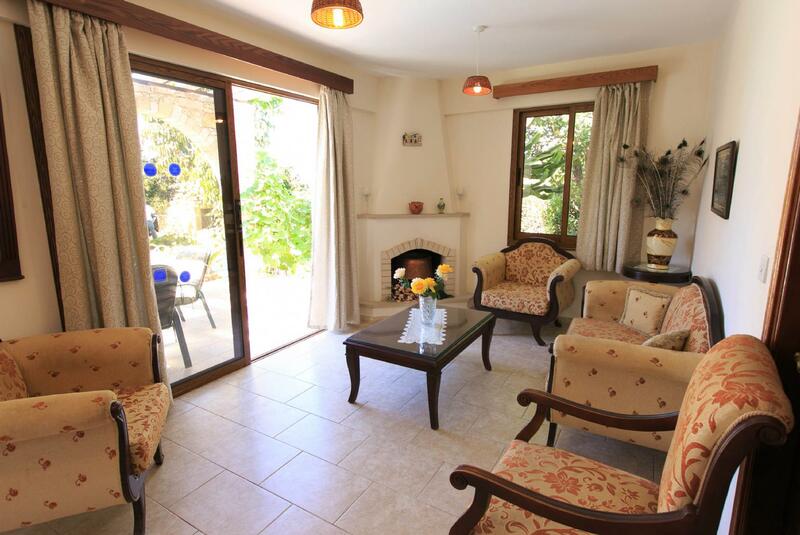 We have enjoyed staying at the villa ( our 4th time) and regard it as a home from . 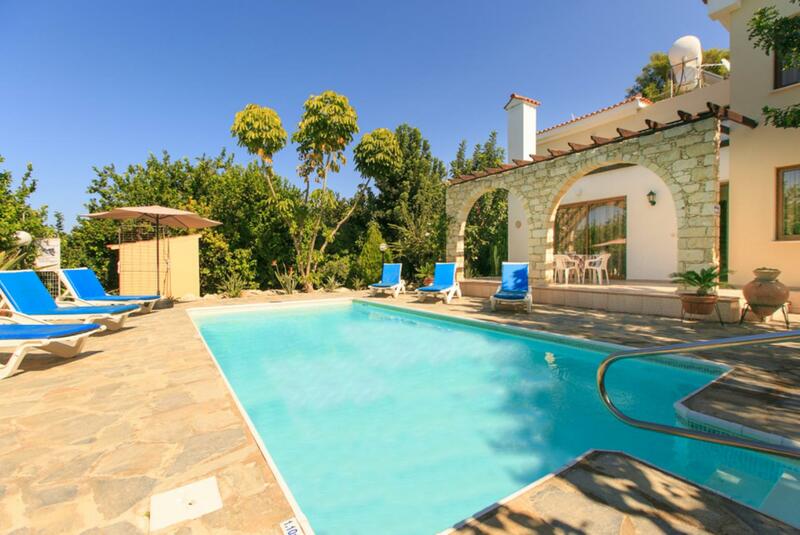 The pool and garden are lovely and perfect to relax in. Irini very welcoming and always attentive. We will be back soon. 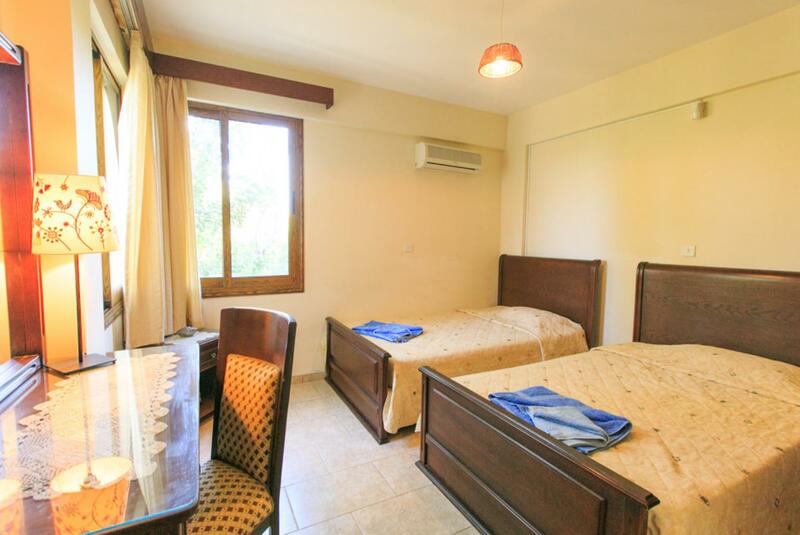 This is our second time staying at Villa Irini. 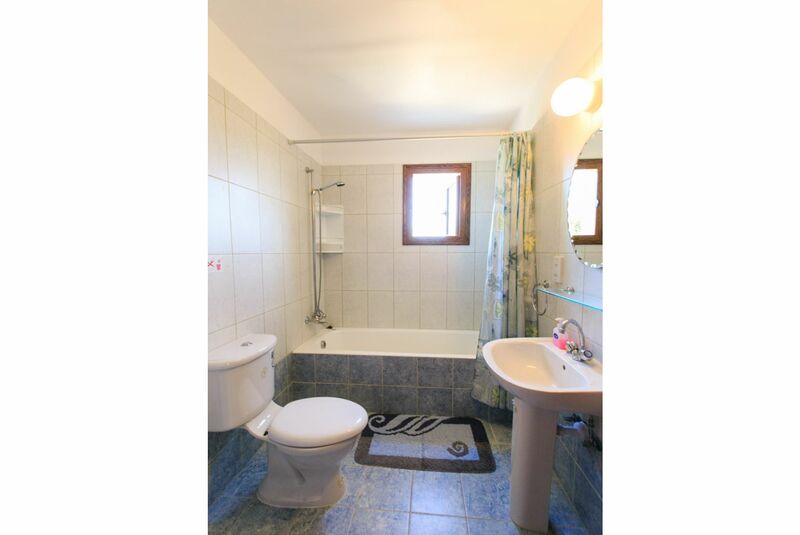 It is a beautiful villa and is close enough to walk to the town and to the beach. Irene, the owner is lovely and always wants to make sure you have the best stay. She bought us a bottle of wine and some biscuits! We shall be coming again next year as we love it, many thanks! 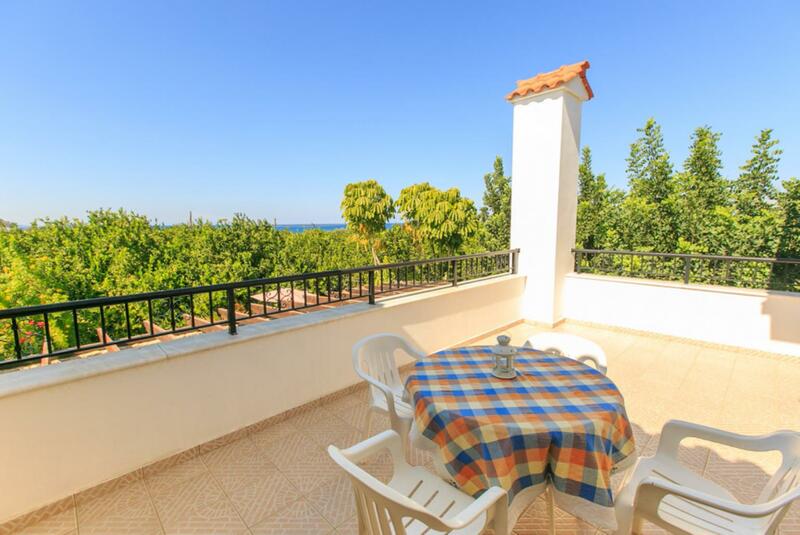 Idylic place for a peaceful rest with its pretty secluded garden and second floor balcony giving sea view. 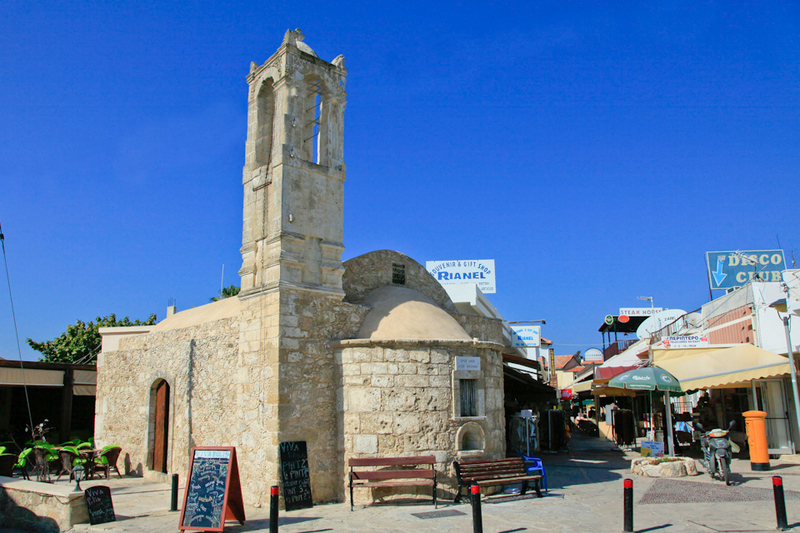 Several traditional restaurants in nearby Polis. 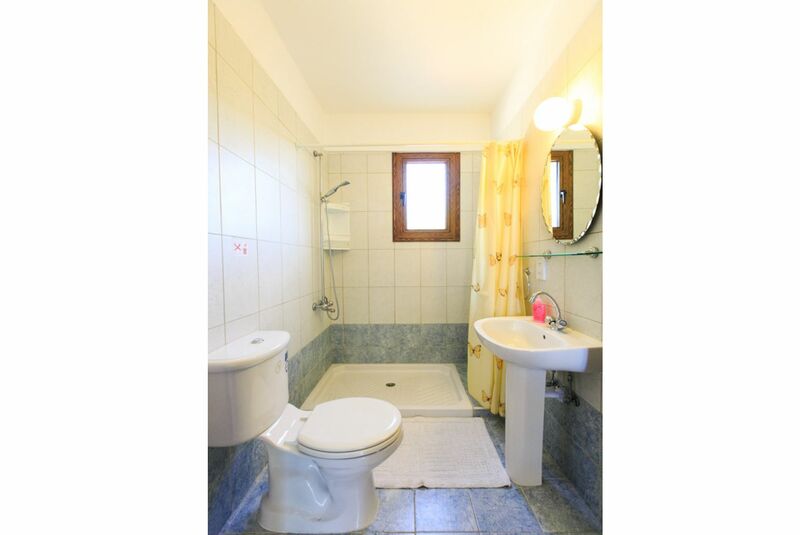 Excellent location , ideally situated for a gentle walk into town. Very friendly family ownership, who live nearby and are available , if needed. 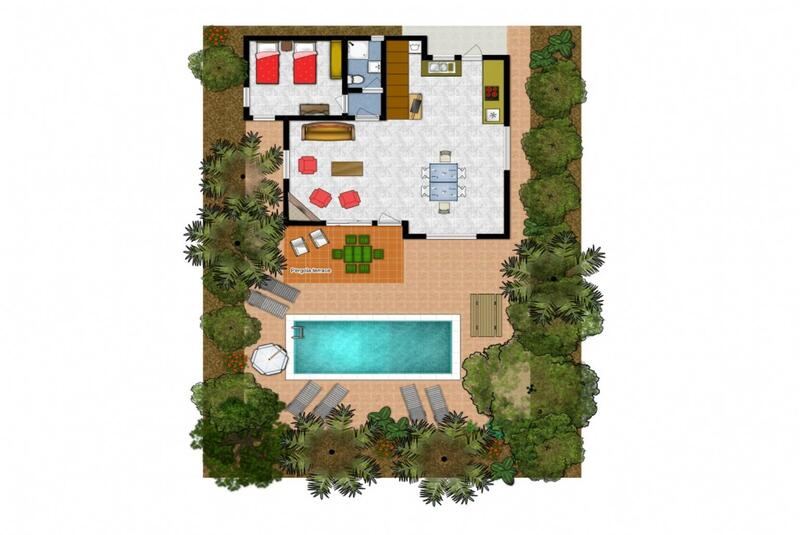 If youre looking for peacefulness and privacy with the beach steps away, this is the place! 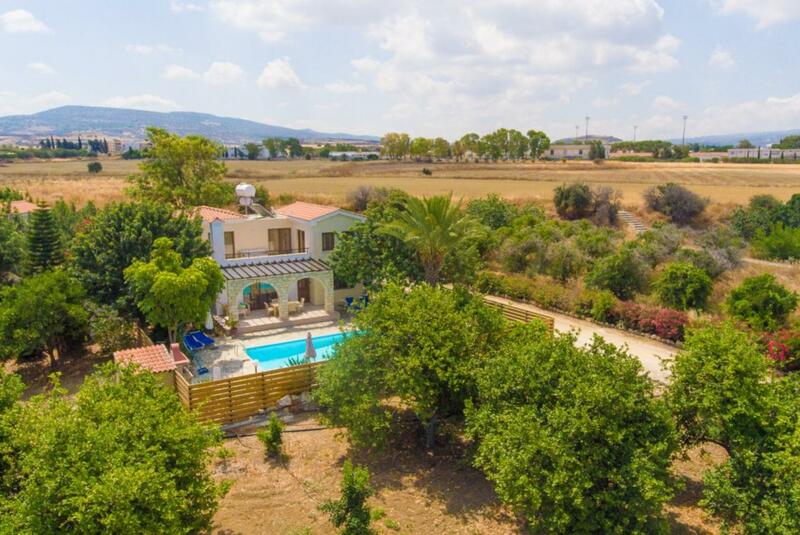 This villa is located in Polis which is a fantastic area. Polis has it all. This villa was so perfect for our stay. I highly recommend this villa. 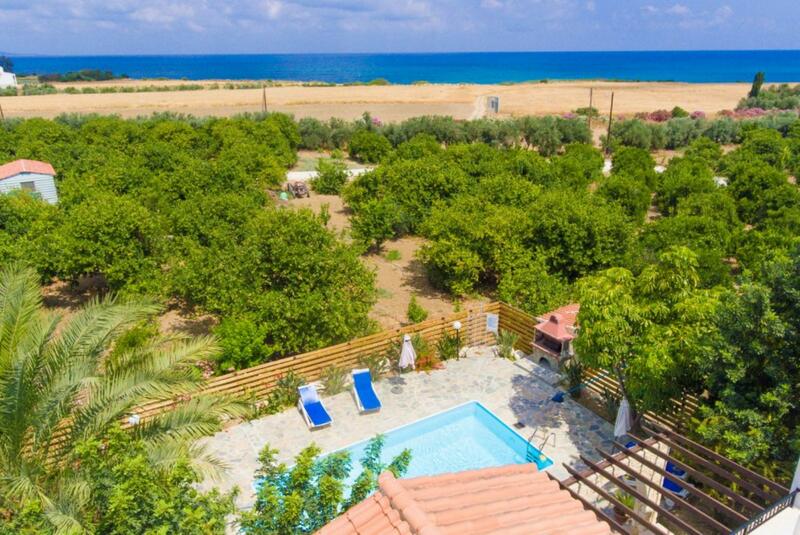 We have been to Cyprus on a number of occasions and have tended to stay in the Polis/Latchi area as it suits our needs - away from the madding crowds of Paphos and Coral bay but near enough for a day visit. We are a family of 4 - a middle aged couple adult learning disabled son and his elderly grandparent. 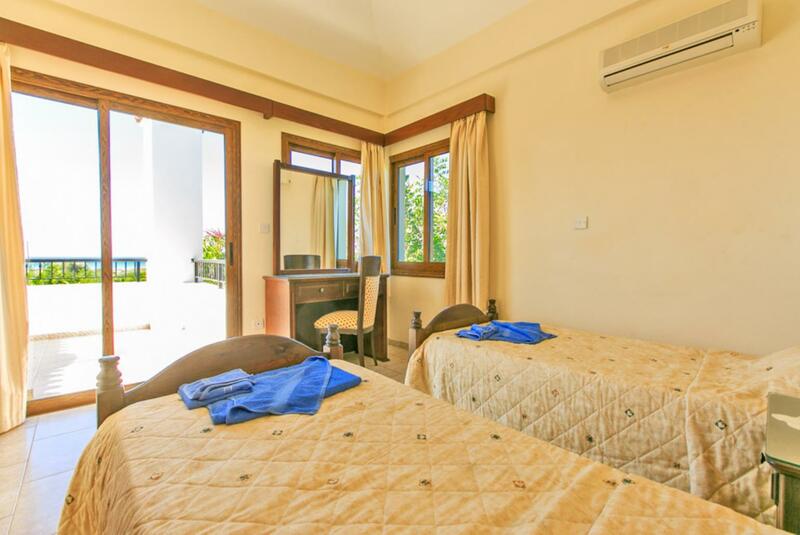 Irini villa was our first experience with Agni Travel and we would certainly book with them again. 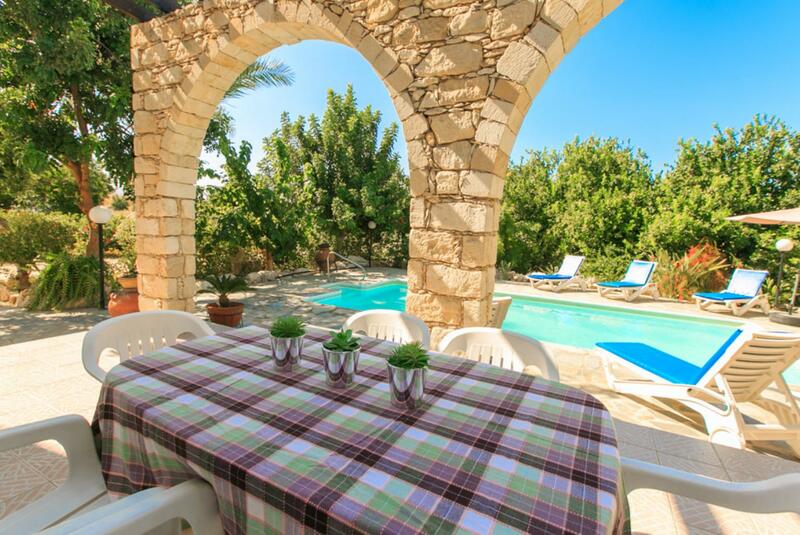 The villa was accurately described and communication was good with a nice welcome text when we arrived at Paphos airport. We only met the owner on a couple of occasions when she popped by to give us a welcome bottle of wine and some grapes and to also leave us fresh towels mid stay. We were quite happy not to have a maid visit during our week - we can empty the bins and tidy our own beds. Indeed the weather was so hot we spent very little time inside - there was lots of shady outdoor space which was lovely. The villa was walking distance to Polis which is a nice little town that has a laid back feel. We ate mainly in the square in Polis - nice selection of tavernas. We also went to Latchi for a meal by the harbour. Swimming at the beach nearest to the villa (near the Natur hotel) is a bit challenging as its often quite a breezy beach with large pebbles - difficult to get in and out of the water but also a beach where the turtles lay their eggs so you would not want it to be too accessible. Much safer to drive or walk the mile or so to Polis beach or Latch beach which are sand and shingle (sunbeds at 7 euros for 2) at La Plage with washing and changing facilities. La Plage is also disabled friendly with facilities for wheel chair users to enter the sea. 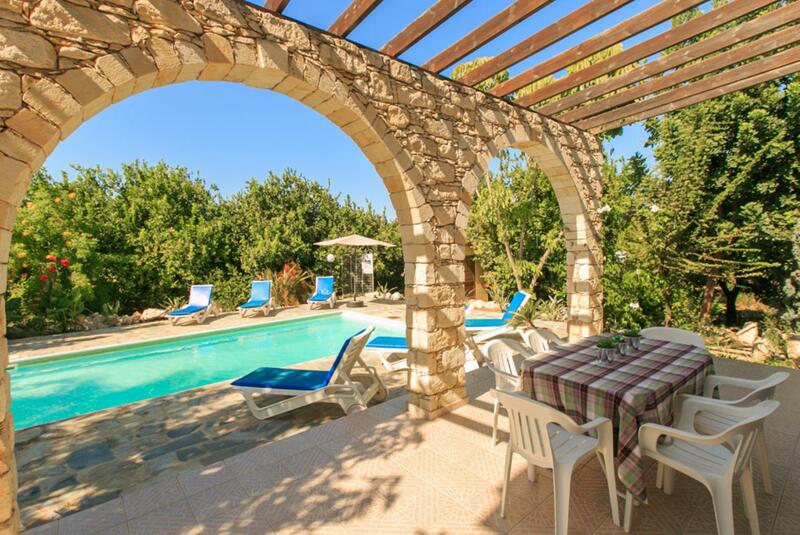 Villa Irini certainly rates highly in our view and we would definitely book this again. 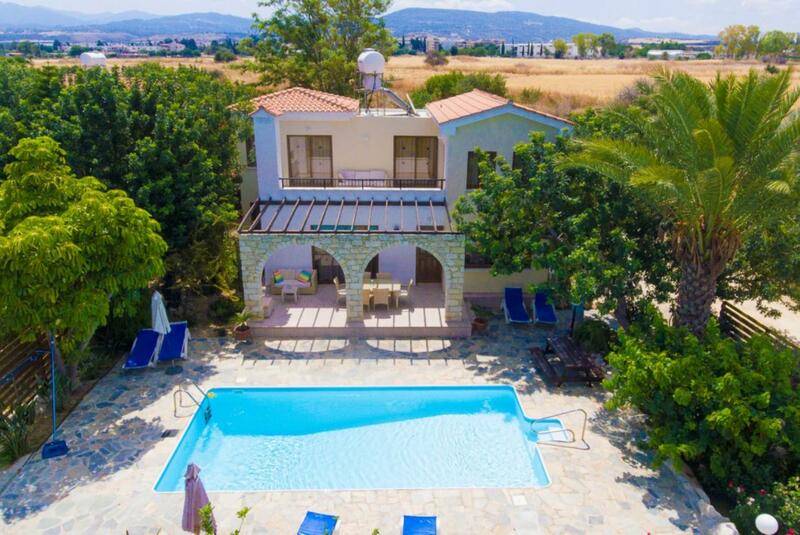 This villa delivered everything we needed space quiet good facilities and walking distance to Polis centre for our evening meal. We will definitely be back. Excellent location in an excellent resort. Spot on. Clean house. Well equipped. Good service. Highly recommendable. Relaxing convenient, good value and glad we are booked in for two weeks next May. 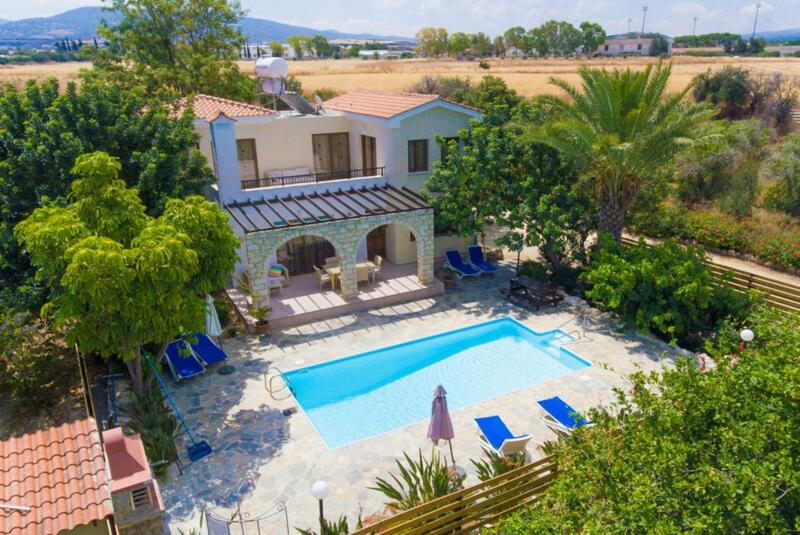 We loved the villa and felt that it more than met the descriptions on the web site. 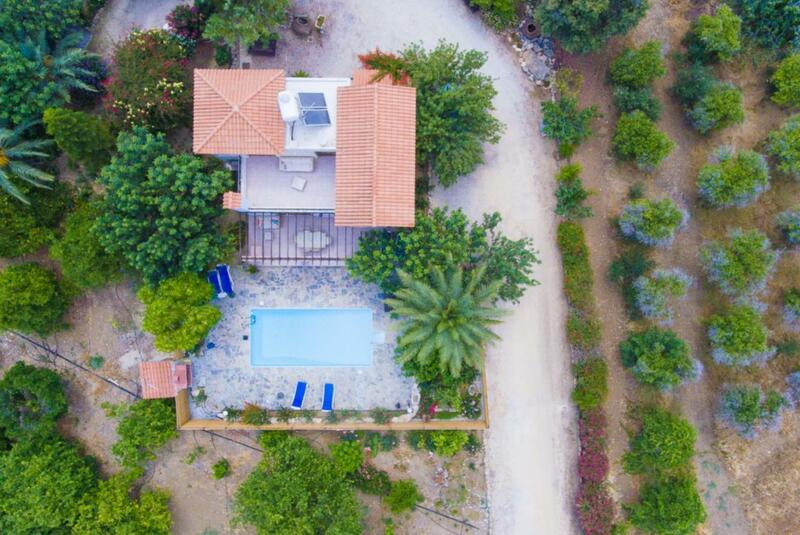 We had a very relaxing holiday in lovely surroundings and your communication throughout was excellent.The villa position is ideal for watching the sunset on the secluded beach. 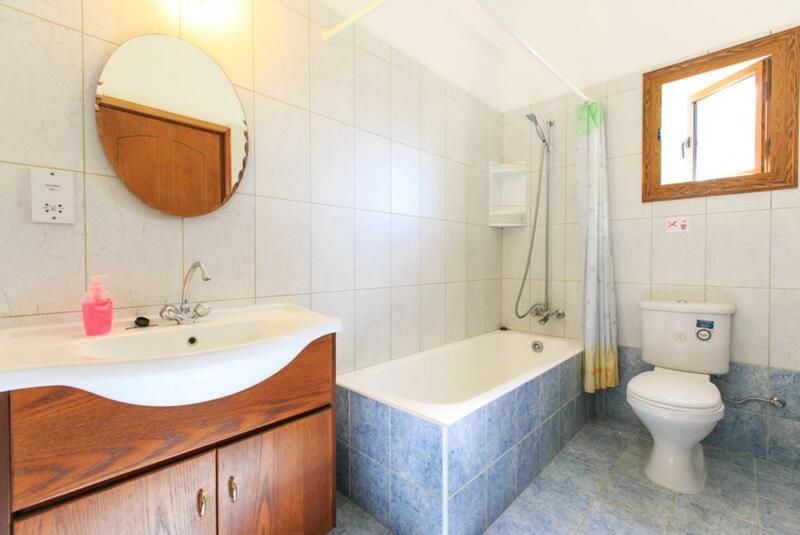 The location was ideal for a very private, relaxing holiday. 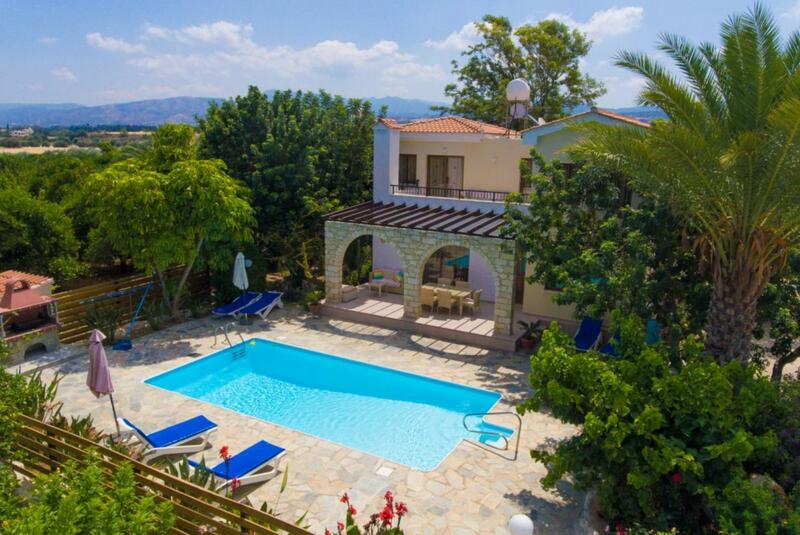 We had a very good holiday in a nice villa which was in a nice position and with nice surroundings. 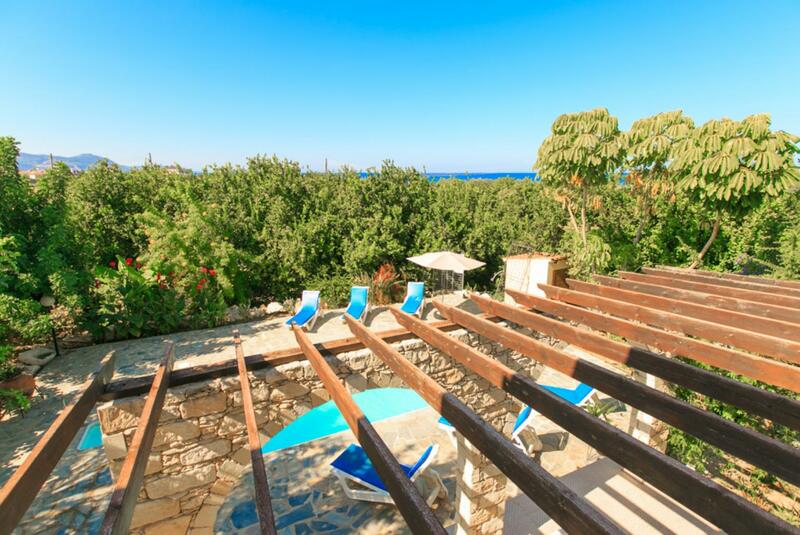 Villa Irini was booked 4 days ago!